DANIEL E. CUMMINS, ESQUIRE is an insurance defense attorney with the Scranton, Pennsylvania law firm of FOLEY, COMERFORD & CUMMINS. In addition to being a civil litigator, he also writes a regular column for the Pennsylvania Law Weekly on important cases and emerging trends under Pennsylvania law. He is also the former author of the annual Supplement for The Pennsylvania Trial Advocacy Handbook. Here's an update list of the post-Koken or post-Koken-like cases uncovered to date, broken down by county-to-county decisions. The list is not represented to be exhaustive and there may be other decisions out there that I am not aware of at present. It is important that these decisions be publicized so that a consistent common law in this novel area can be developed. I would appreciate it if you could please advise me of any new cases that you may come across on these topics. Richner v. McCance and Erie Insurance Group, 2011 WL 32499, 2011 Pa.Super. 4, No. 2045 WDA 2009 (Pa.Super. Jan. 6, 2011, Stevens, Donohue, and Ott, JJ. )(The Superior Court applied Pa.R.C.P. 2229(b), pertaining to the joinder of actions, and found that the requirements of that rule were not met to allow for a joinder of a tort claim with a declaratory judgment action on a coverage question. More specifically, the court found that, although the tort allegations and the coverage question essentially both arise out of the same accident, the liabilities of the respective defendants arise from different circumstances, i.e. one in tort and the other in contract law. In so ruling the Superior Court rejected the trial court's reliance on post-Koken cases ruling in favor of the consolidation of tort claims and claims for UIM benefits under Pa.R.C.P. 2229(b), as the analysis in those types of cases was "inapposite" to the issue in this case involving the separate and different question of the combination of a tort claim with a request for a declaratory judgment in response to a coverage question. Id. at p. 17, n. 4. In that same footnote, the Superior Court also stated, "We emphasize that we are not here deciding the propriety of the joinder of third party liability claims with post-Koken UIM benefit claims."). O'Hara v. The First Liberty Ins. Corp. d/b/a Liberty Mut. Ins. Group, 984 A.2d 938, 2009 WL 3720649 (November 9, 2009, Judges Freedberg, Cleland and Kelly)(Consolidation vs. severance issue not implicated as plaintiff settled with tortfeasor and only sued UIM carrier in post-Koken case; Superior Court upholds UIM carrier's forum selection clause requiring UIM lawsuit to be brought in the county of the insured's legal domicile at the time of the accident)(As of November 30, 2009, the Plaintiff had filed for re-argument en banc before the Superior Court, which request was denied by way of a December 30, 2009 Order of Court.). [appeal denied, 2010 WL 1752268, 39 EAL 2010 (May 4, 2010)]. Sehl v. Neff and State Farm, No. 3438 EDA 2009 (Pa.Super. July 25, 2011 Olson, Freedburg, Colville, JJ. )(opinion by Freedburg) (Accident and torfeasor defendant from Montgomery County; UIM carrier's policy did not have forum selection clause; Plaintiff filed in Philadelphia County on grounds that UIM carrier conducted business in that County; Tortfeasor defendant argued, under Pa.R.C.P. 1006, that since tortfeasor and UIM carrier are not joint tortfeasors, tortfeasor defendant can not be compelled to litigate where it might be appropriate based upon proper venue for UIM carrier. Tortfeasor defendant's preliminary objections based upon improper venue granted at trial court level and affirmed here by Superior Court. Accordingly, where there is no venue selection clause, it appears that venue in a post-Koken case is proper where the accident occurred, where the tortfeasor defendant resides, or where the tortfeasor defendant can be served as that is proper venue for the tortfeasor defendant under Pa.R.C.P. 1006 and also proper venue for the UIM carrier defendant as the UIM carrier defendant, as a corporate entity that conducts business in all counties of Pennsylvania. Stepanovich v. McGraw and State Farm, 78 A.3d 1147 (Pa.Super. Oct. 15, 2013 Ford Elliott, P.J.E., Ott, J., Musmanno, J. )(Opinion by Ott, J. )(Concurring and Dissenting Op. by Ford Elliott, P.J.E. ), appeal denied 11 WAL 2014 (Pa. April 22, 2014) (Superior Court found no due process violation by the trial court's decision to allow the Post-Koken trial involving a tortfeasor defendant and a UIM carrier defendant to proceed in front of a jury without mention of the UIM carrier as a party Defendant. Yet, the Court did rule that Pa.R.E. 411, pertaining to preclusion of mention of liability insurance at trial, does not apply in context of references to UIM insurance at trial. However, open issue remains on whether common law prohibition of mentioning other forms of insurance at trial serves to preclude evidence of insurance in this context; Pennsylvania Supreme Court denied Petition to Appeal.). Harvey v. Liberty Mut. Ins. Group, NO. 130-CV-04693 (E.D. Pa. March 26, 2014 Joyner, J. )(Judge J. Curtis Joyner ruled that an injured party was barred by the doctrine of collateral estoppel from proceeding on a UIM claim after having agreed to a high/low arbitration on the third party side with a high parameter below the third party liability limits and where the arbitration award was entered below that high parameter. The court ruled in this fashion even though there was an agreement between the parties in the third party liability case that the binding arbitration was not intended to preclude any subsequent proceedings.). Borrelli v. AIU North Americam, Inc., No. 0430, Control No. 13110820 (C.P. Phila. Jan. 15, 2014 Bernstein, J. )(Judge Mark I. Bernstein of the Philadelphia County Court of Common Pleas granted a UIM carrier's motion for summary judgment based on collateral estoppel in a case where the Plaintiff proceeded through an agreed upon high/low arbitration with the tortfeasor defendant first and was awarded an amount less than the tortfeasor's liability limits). Oswald v. State Farm, No. 3:09-CV-2578 (M.D.Pa. 2010, Caputo, J.) (Addressing an apparently novel scenario in the post-Koken context, Federal Middle District Court Judge A. Richard Caputo allowed a UIM carrier to join the third party tortfeasor into a Federal post-Koken lawsuit as a third party defendant). Wabby v. State Farm Mutual Automobile Insurance Company, No. 3:09cv2449 (M.D. Pa. 2010, Munley, J., mem. op. ),(Judge Munley delineated the standard of review on a motion to join a party in a case that has been removed to the federal court where such a joinder may serve to destroy the diversity of citizenship necessary for federal court jurisdiction; rules, under circumstances of this case that plaintiff could join non-diverse third party tortfeasor defendant into plaintiff's case against UIM carrier that had been removed to federal court by carrier; joinder of non-diverse defendant destroys diversity and leads federal court to remand case back to state court.). Calestini v. Progressive Cas. Ins. Co., 3:09-CV-1679 (M.D.Pa. Dec. 16,2009, Caputo, J. )(Court ruled against the Defendant insurance carrier's Motion to Bifurcate and Stay Discovery in a post-Koken case in which a UIM breach of contract action was joined with the bad faith action.). Christian v. The First Liberty Ins. Corp, No. 1:10-CV-125 (M.D.Pa. March 16, 2011, Rambo, J.) (Court denied a Plaintiff's request to consolidate the Plaintiff's negligence lawsuit against the tortfeasors with the Plaintiff's separately filed uninsured (UM) claim against the Plaintiff's own carrier under an allegation that a phantom vehicle was also involved in the accident.). Gunn v. Auto. Ins. Co. of Hartford, Conn., 2008 WL 6653070, GD07-Civil-002888 (Alleg. Co. July 25, 2008, Wettick, J. )(Bad faith claim and UIM claim allowed to proceed together). Collins v. Zeiler and State Farm, GD08-Civil-014817 (Alleg. Co. October 22, 2008, Strassburger, J. )(Preliminary objection seeking to sever claims denied.). Richner v. McCance and Erie Insurance Group, GD 09-2578, 2045 WDA 2009(Alleg. Co. Feb. 17, 2010, Hertzberg J. )(Third party claim against defendant driver and separate declaratory judgment action on UIM coverage issue allowed to proceed in a consolidated fashion; court leaves the door open to bifurcate at time of trial, if necessary.). Shipers and Thompson v. Brown and Safe Auto, No. : GD-13-002037 (C.P. Allegheny April 26, 2013 O’Reilly, J.) (In Order without Opinion, trial court overruled Preliminary Objections of tortfeasor Defendant seeking severance and allowed Plaintiffs’ negligence and UIM claim to remain join. The trial court also noted in its Order that evidence of the third party Defendant’s insurance coverage would be admissible at trial in order to determine the extent of the UIM carrier’s liability). But see Jenkins v. State Farm, G.D. 07-020234 (Alleg. Co. Sept. 9, 2009, Wettick, J. )(Motion to stay and sever granted in UIM/Bad Faith case). But see Wutz v. Smith and State Farm, GD07-021766 (Allegh. Co. March 2, 2010, Strassburger, J. )(Court ordered the severing of a third party claim from a UIM claim and Bad Faith claim against the UIM carrier. In this case, the UIM carrier paid the third party defendant’s settlement offer under Daley-Sand and thereby stepped into the Plaintiff’s shoes against the third party tortfeasor. Since there was no longer any “live dispute” against a tortfeasor in this matter, Judge Strassburger thought it appropriate to sever the cases and to allow the Plaintiff to proceed on the UIM and bad faith claims first.). Six v. Phillips and Nationwide Ins. Co., 12227-Civil-2008, 2009 WL 2418861 (Beaver Co. June 30, 2009,Kwidis, J. )(Preliminary objection by tortfeasor to joinder of third party claim and UIM claim under one caption rejected; court also rules that evidence of insurance may come into evidence at trial for limited purposes.). Bradish-Klein v. Kennedy and State Farm, PICS Case No. 09-2059 (C.P. Beaver Dec. 3, 2009, Kwidis, J. )(State Farm was not only UIM carrier, but also provided the liability coverage to the third party tortfeasor; Plaintiff initially filed suit against the third party tortfeasor only and then moved to amend the Complaint to add the UIM claim against the UIM carrier, State Farm. Third party tortfeasor opposed the motion to amend on the grounds that "insurance" would then come into play during the trial; Judge Kwidis relied on his prior decision in Six v. Phillips and Nationwide Ins. Co. to allow the amendment and allow the joinder of the third party claim and UIM claim under one caption; court again notes that fact that evidence of insurance may come in at trial does not preclude joinder). Hartman v. Schofield and Progressive, No. 2009-CV-11956 (Bucks Co. Feb. 2010, Waite, J. )(Without opinion, trial court overruled carrier's preliminary objection seeking a severance of UM claim from negligence claims against third party defendant. However, trial court sustained UM carrier's preliminary objection and severed bad faith claims from breach of contract claims against UM carrier and negligence claims against third party tortfeasor). Link v. Eckenrode and State Farm, No. 2009- Civil - 1312 (Cambria Co., Jan. 10, 2011)(Opinion by President Judge Timothy P. Creany, Concurrence by Judge David J. Tulowitzki, and Dissenting Opinion by Linda Rovder Fleming)(En banc Court, by 2-1 decision, ruled that negligence claims should be allowed to proceed in a consolidated fashion with UIM claims under one caption). Lydick v. Keilman, No. 2010- Civil - 1700 (Cambria Co., Jan. 10, 2011, Creany, J. )(En banc Court, by a 2-1 decision ruled in favor of consolidation of negligence and UIM claims). Murphy v. Hampton et al, No. 2012-3855 (Centre Co. Feb. 14, 2013 Grine, J. )(Court overrules tortfeasor Defendant's preliminary objections asserting misjoinder of actions and requesting severance. Case allowed to remain consolidated). Fennessey v. Sweeney and State Farm Mut. Automobile Ins. Co., No. 2012-2865 (Centre Co. Dec. 11, 2012 Ruest, J. )(In Opinion, court denied Defendants' preliminary objections asserting misjoinder of actions and also denied companion motion to sever to allow case to proceed in consolidated fashion). Allen v. Schreiber, et al., No. 3787-2012 (C.P. Chester July 2, 2013 Mahon, J. )(By Order without Opinion, trial court overruled UIM carrier’s Preliminary Objections seeking to sever UIM and negligence claims.). Wentzel v. Swinehart and State Farm, No. 375-10 CV (June 3, 2010, Williamson, P.J. )(Court denied both the UIM carrier’s Motion to Sever the Plaintiff’s bad faith claim and the request that the bad faith claim be stayed pending the resolution of the underinsured motorist action.). Wolfe v. Hans and Progressive, No. 2010-CIVIL-11199 (Dauphin Co. March 21, 2011 Evans, J. )(Court denied severance in response to Preliminary Objections and a Motion to Sever filed by the tortfeasor Defendant.). Fuhrman v. Frye and State Farm, Dauphin, 2008 CV 17687 (Without Opinion, request to sever UIM claim and third party claim denied). Sellers v. Hindes and State Farm, Dauphin, 2009 CV 1989 (Without Opinion, request to sever UIM claim and third party claim denied). Gingrich v Esurance and Susan Graci, No. 08795 CV 2009 (Dauphin Co. Nov. 2, 2009, J. Hoover)(Without Opinion, trial court ruled tortfeasor's preliminary objections to complaint which joined tortfeasor and the underinsured motorist causes of action under one caption denied in one line Order). Schaeffer v. Bonny and Donegal Group, No. 2010 - Civil - 4547 (Dauph. Co., Sept. 10, 2010, Coates, J. )(Without Opinion, court denied preliminary objections filed by tortfeasor defendants and the UIM carrier and allowed the claims filed by the Plaintiff against the tortfeasor to remain consolidated under one caption with the claims against the UIM carrier). Steele v. Kelly, No. 2009-CV-07007 (Dauphin Co., May 13, 2011, Curcillo, J.) and Steele v. Erie Insurance Exchange, No. 2010-CV-15431 (Dauphin Co., May 13, 2011, Curcillo, J. )(Court consolidated the Plaintiff’s claims against the tortfeasor with the Plaintiff’s separate claim against the underinsured motorist carrier. This may be the first case where the joinder occurred after the cases against the tortfeasor and the UIM carrier were initially filed separately.). Jordan v. White, Gonzales, and Erie Insurance Exchange, No. 15540-Civil-2009 (Erie Co. October 28, 2010, Garhart, J. )(Court denied Preliminary Objections by the UIM/UM carrier seeking severance; Court says it will entertain a motion to sever at the time of trial, if desired). But see below in "Severance" listing Brown v. Haas and State Farm, No. 11658 - 2011 (C.P. Erie Oct. 31, 2011 Connelly, J. )(In an Opinion, court granted the preliminary objections filed by the tortfeasor defendant seeking a severance of the negligence and UIM claims on the basis that the tortfeasor would be prejudiced by the introduction of evidence of insurance in violation of Pennsylvania law. The defense also argued that the claims did not arise out of the same "occurrence" in that one action was in negligence and the other in contract. Court also struck bad faith claim filed against UIM carrier as sufficient facts not pled in support of that claim.). Decker v. Nationwide Ins. Co., 2008 WL 6653069, 2005-Civil-1863//2006-Civil 2119 (Lacka. Co. March 4, 2008, Minora, J. )(consolidation permitted of bad faith action against UIM carrier and declaratory judgment action regarding coverage). See also Decker v. Nationwide, 2007 WL 6853118 (Lacka. Co. 2007, Minora, J.). Augustine v. Erie Ins. Exchange, 2006-Civil-416 (Lacka. Co. August 1, 2008, Mazzoni, J. )(Court allowed discovery in a UIM/bad faith case to proceed in a consolidated fashion but noted that claims would later be severed into two separate trials). Moyer v. Harrigan and Erie Ins. Exchange, 2008-Civil-1684 (Lacka. Co. October 24, 2008, Thomson, J. visiting judge)(Consolidation of UIM claim and claim against tortfeasor permitted). Nehme v. Erie Insurance and Osborne, 2009-CV-4982 (Lacka. Co. Nov. 5, 2009, Thomson, S.J. )(Without Opinion, Preliminary Objections seeking, in part, a severance of the third party claims and UIM claims denied). Yesu v. Arcieri and Encompass Insurance Company of America, No. 2010-CV-9877 (Lacka. Co. May 18, 2011, Thomson, S.J. )(Without Opinion, court overruled the Preliminary Objections of the tortfeasor Defendant seeking a severance of the negligence claims filed against the tortfeasor from the breach of contract/bad faith claims filed against the UIM carrier.). Bingham v. Poswistilo, Ritz, and Erie Ins., No. 10 - CV - 6020 (Lacka. Co., April 8, 2011, Nealon, J. )(In the most thorough Opinion anywhere on the issue, Judge Nealon ruled in favor of consolidation of third party claims and UIM claims for discovery purposes but left door open for parties to revisit severance issue at time of trial; However, court did end up severing claims based upon venue issue, with UIM claim being kept in Lackawanna County pursuant to forum selection clause in policy and with tortfeasor claims being sent to Lehigh County where venue was proper for that part of case.). Richards v. McPhillips and Progressive Insurance Company, 2010-CIV-7020 (Lacka. Co. June 10, 2011, Mazzoni, J. )(Court denies preliminary objections of UIM carrier to sever negligence claims against third party tortfeasor from UIM claims against carrier. A wrinkle in this case separating the facts from previous post-Koken cases on this issue is that there were punitive damages allegations asserted against the third party tortfeasor on the basis that the tortfeasor was operating his vehicle allegedly under the influence of heroin and/or as otherwise impaired. Judge Mazzoni ruled that the punitive damages claims did not change the result. However, although Judge Mazzoni ruled that the cases could remain consolidated for purposes for discovery, he left the door open for the claims to possibly be severed at the time of trial by motion to the trial court judge.). Knott v. Walters and Nationwide Mutual Automobile Ins. Co., No. 2010 CV 4745 (Lacka. Co. Aug. 5, 2011, Mazzoni, J. )(In a detailed Order, the court denied the preliminary objections filed by the tortfeasor defendant who claimed, in part, a misjoinder of actions under the Pennsylvania Rules of Civil Procedure; Although court rules case is to proceed to trial in consolidated fashion, court also points out that trial judge retains discretion to sever or bifurcate the cases if appropriate.). But see Mehall v. Benedetto and Erie Ins. Exchange, 09-CV-744 (Lacka. Co. 2010 Thomson, S.J. )(Court orders that third party claims should be severed from UIM claims into two separate lawsuits; Motion for Reconsideration denied by July 10, 2010Court Order by Judge Thomson). Joseph v. Perrotta and State Farm, No. 10457 of 2010 (Lawrence Co. Nov. 19, 2010, Cox, J. )(UIM carrier's Motion To Consolidate separate cases against tortfeasor and UIM carrier granted; Court notes it would entertain a motion to sever at the time of trial, if desired). Serulneck v. Kilian and Allstate, 2008-Civil-2859 (Lehigh Co. April 7, 2009, McGinley, J. )(Motion of tortfeasor defendant for severance of claims against him from UIM claims under one caption denied.). Hoinski v. Farrell and Erie Ins. Co., No. 7270-CV-2013 (C.P. Luz. Co. 2013 Hughes, J. )(Judge Richard Hughes of the Luzerne County Court of Common Pleas denied Preliminary Objections filed by the UIM carrier seeking a severance of claims; tortfeasor was a DUI defendant facing punitive damages claim; court leaves door open for later motion to bifurcate.). Weitoish v. Heck and State Farm Mutual Automobile Insurance Company, No. 13831 OF 2009 (C.P. Luz. Co. July 6, 2012, Amesbury, J.) (By Order only, Court denies Preliminary Objections of UIM carrier seeking severance of actions against UIM carrier from claims filed against third party tortfeasor). Glushefski v. Sadowski and Erie Ins. Exchange, 1189-Civil-2009 (Luz. Co. July 24, 2009, Burke, J. )(Without Opinion, Preliminary objection by tortfeasor defendant seeking to sever third party claim from consolidated UIM claim overruled). Rinker v. Kellar and State Farm, No. 11038 of 2009 (Luz. Co. June 25, 2010, Burke, J. )(Preliminary objection by tortfeasor defendant to sever third party claim from consolidated UIM claim overruled.). Mitkowski v. Nationwide, No. 582-Civil-2010 (Luz. Co. July 29, 2010, Gartley, J.) and Mitkowski v. Stefanec, No. 17284 - Civil - 2008 (Luz. Co. July 29, 2010, Gartley, J. )(Court issued order granting UIM carrier's motion to consolidate the Plaintiff's UIM claim with the Plaintiff's third party claim against the tortfeasor.). Borthwick v. Webb and GEICO, No. 2735-Civil-2010 (Luz. Co. Sept. 21, 2010, Cosgrove, J. )(Court denied the Preliminary Objections of Defendant GEICO, the UIM carrier, seeking a severance of the first party claims against it(breach of contract (UIM) and Bad Faith) from the third party liability claims, and, in the alternative a severance of the UIM claims and Bad Faith claims filed against GEICO. In a footnote in his Opinion, Judge Cosgrove cited to Pennsylvania Law Weekly article by Daniel E. Cummins, Esquire outlining decisions in this regard around the state. Case was allowed to proceed in a consolidated fashion). Johns v. Cooper and GEICO, No. 9153 - Civil - 2010 (Luz. Co. Dec. 30, 2010, Burke, J. )(Court, in Order without Opinion, denied the tortfeasor Defendant's Preliminary Objections and Motion to Sever, thereby allowing the claims against the tortfeasor and the UIM carrier to proceed in a consolidated fashion. As support for his decision, Judge Burke cited to another Luzerne County decision, Borthwick v. Webb and GEICO, 100 Luz. Reg. Reports 135 (2010).). Dunsmuir v. Tredinnick and State Farm, No. 12077 - Civil - 2010 (Luz. Co. June 29, 2011 Lupas, J. )(Court rejects State Farm's argument that Plaintiff's breach of contract complaint is really a bad faith complaint; case allowed to remain consolidated with third party negligence claim against tortfeasor). Price v. Price III and State Farm, No. 13625 - Civil - 2010 (Luz. Co. Feb. 28, 2011 Gartley, J. )(Court overrules State Farm's preliminary objections requesting severance of UIM and negligence claims). Korona v. Kemler and Mercury Insurance, No. 328 of 2011(Luz. Co. 2011 Muroski, S.J.). (Court, by Order only, denied the tortfeasor's Preliminary Objections claiming a misjoinder of actions and the case was allowed to remain consolidated.). Cocuzza v. Castro, No. 406 – CV – 2012 (C.P. Monroe Co. July 12, 2012 Zulick, J. )(Court denies preliminary objections to sever and allows cases to remain consolidated without prejudice to parties to file motion to bifurcate trial after discovery is completed). Orsulak v. Windish, No. 55-Civil-2011 (C.P. Monroe Co. Jan. 14, 2013 Williamson, J. )(Court granted motion for severance of UIM claims and bad faith claim. Court refused to issued blanket order freezing bad faith discovery efforts but noted that the carrier could bring issues to the court by way of motion if necessary. Court also separately allowed for consolidation of UIM and third party claims and ordered that any mentioning of insurance would be precluded in that portion of the trial of the matter). Dininni v. Encompass Insurance Company, No. 2010 - Civil - 04615 (Montg. Co. June 16, 2010, Tilson, J. )(Court stayed discovery as to claims of bad faith and unfair trade practices until underlying UIM claims were tried or otherwise resolved. While ruling in favor of the defense in that regard, the court did also deny the defense request that the Bad Faith Claim and Unfair Trade Practices Claim be severed from the UIM claim.). Slaterbeck v. Sutsko and Erie Insurance, No. 237-CV-2012 (C.P. Montour Co. Oct. 12, 2012 Norton, J. )(Court overruled the Preliminary Objections of the UIM carrier, Erie Insurance Company, to the joinder of actions in this post-Koken case thereby allowing cases to remain consolidated). Firoozifard v. Krome and State Farm, 2010 WL 2666306, No. C-48-Civil-2009-14369 (Northampton Co. June 21, 2010, Beltrami, J. )(Court denied a third party tortfeasor defendant's motion to sever the third party liability claims from the UIM and UM claims; court also notes that insurance issues can be kept from jury and the task of applying third party credit to determine UIM award can be kept away from jury and handled by the court only after the verdict). Richard Hess v. Cosgrove et al., Phila, July Term, 2008, no. 3708 (Without Opinion, request to sever UIM claim and third party claim denied). Spano v. Carney and Nationwide Insurance, March Term, 2008 No. 5707 (Phila. Co. July 3, 2008 New, J. )(Preliminary objections of third party tortfeasor to joinder of negligence claims with UIM claims against insurance company overruled.). Zerggan v. Rietman and Nationwide Insurance, No. 0906 o1752 June Term 2009 (Phila. Co. March 3, 2010, McInerney, J. 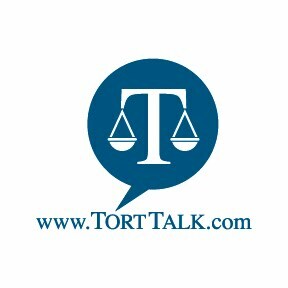 )(Preliminary objections filed by the tortfeasor on a venue argument denied by court; court also denied misjoinder of causes of action preliminary objection--refuses to sever the third-party case from the underinsured motorist claim against Nationwide. Celia v. McQueeny [citation to be secured] (Phila. Co. 2010)(Court did not sever the UIM claims from negligence claims as requested but did transfer the consolidated case over to Bucks County pursuant to a forum selection clause under UIM policy.). Bomentre v. Alifano and Nationwide, Nov. Term, 2009 No. : 447 (C.P. Phila. April 7, 2010 Glazer, J.) (Without Opinion, trial court denied third-party Defendant’s Preliminary Objections to joinder of claims against third party Defendant and UIM carriers, Nationwide and State Farm. The court noted that the claims against third party Defendant and UIM carriers “may be properly joined as they arise out of the same occurrence and have common questions of law or fact….the joinder will save resources, time and expense. There is no mis-joinder and the claims will be tried together in this court”). Spano v. Carney and Nationwide, March Term, 2008 No. : 5707 (C.P. Phila. July 3, 2008 New, J.) (Without Opinion, trial court denied Preliminary Objections of tortfeasor Defendant arguing improper joinder and that the inclusion of the UIM claim with the third party claim would impermissibly allowed evidence of insurance to be introduced in violation of Pa. R.E. 411. The court also denied tortfeasor Defendant’s Preliminary Objection on improper venue; since court denied Preliminary Objections on mis-joinder of actions, venue issue raised by Defendant was also denied. But see Astillero v. Harris and State Farm, August Term 2009, No. 1580 (Phila. Co. Dec. 11, 2009, Fox, J. )(Order states claims are severed "for purposes of trial only" presumably meaning claims may proceed together in discovery phase). But see Morawski v. Dunleavy and State Farm, October Term 2009, No. 03493 (Phila. Co. April 26, 2010, Overton, J. )(third party claims and UIM claims severed for all purposes, not just for trial purposes). But see Dangler v. Robinson and AIU Insurance Company, March Term 2009, No. 4027, Control No. 09-092828 (Phila. Co. 2010, DiVito, J. )(Court issued an Order granting the tortfeasor's preliminary objections, alleging a misjoinder of actions, in a post-Koken case.The Court, by Order only and without any Opinion, severed the UIM claim and ordered that it be tried separately from the third party claim.). But see Schramm v. McComb and Penn National Insurance and State Auto Insurance, No. 1002 03394 (Phila. Co. May 10, 2010, Tereshko, J. )(Court granted the preliminary objections of the tortfeasor defendants and severed the third party claims from the UIM claims and ordered separate trials). But see Carter v. Gillespie and Travelers Insurance Company, April 2010 Term No. 0564 (Phila Co. May 27, 2010, Tereshko, J.) (Court granted the third party tortfeasors' Preliminary Objections asserting a Misjoinder of Actions; Judge Tereshko ordered the actions severed and also mandated that the matters were to be tried separately.). But see Thomas v. Titan Auto Ins., Nationwide Ins. Co., Jones, and Briel, March Term 2010 No. 03050 (May 10, 2010, Tereshko, J. )(Court granted the Petition to Sever filed by Titan/Nationwide the third party claims from the UIM claims and also granted the request that the case be therefore transferred to Montgomery County. )(Update: In the court's Rule 1925 Opinion, the trial court clarified that it was only sending negligence claim to Montgomery County and was keeping the UIM claim in Philadelphia County.). But see Saltzburg v. Haynes and State Farm, November Term, 2010, No. 03227 (Phila. Co. Jan. 14, 2011 Tereshko, J. )(Preliminary Objections of tortfeasor defendant on basis of improper venue and improper joinder of third party negligence case with UIM case; claim against tortfeasor dismissed without prejudice to Plaintiff's right to re-file in Montgomery county). But see Pascal v. Nalbondian, et al., July Term, 2010, No. 2118, Control No. 10121229 (Phila. Co. Jan. 14, 2011, Fox, J. )(Tortfeasor's motion to sever negligene claims from claims filed against UIM carrier granted). But see Gollinge-Motroni v. Machado and Allstate Ins. Co., October Term 2010 No. 002528 (Phila. Co. Jan. 14, 2011, Tereshko, J. )(severance of UIM and negligence claims ordered and case transferred for improper venue). Jannone v. McCooey and State Farm, 2009 WL 2418862, 2320-2008-Civil (Pike Co. April 1, 2009, Chelak, J. )(Preliminary objection by tortfeasor to joinder of third party claim and UIM claim under one caption rejected; court also rules that evidence of insurance may come into evidence at trial for limited purposes). Loiacono v. Moraza and Selective Insurance Company, No. 902-2010-Civil (Pike Co. Oct. 25, 2010, Kameen, P.J. )(Plaintiff's Preliminary Objections to Tortfeasor Defendant's untimel Preliminary Objections seeking to sever granted. Cases remain consolidated but Court says it will entertain a motion to sever come trial time). Koontz v. Mast, No. 2011-Civil-142 (C.P. Wash. Co. Nov. 21, 2011 Emery, J. )(Court denied a post-Koken Motion to Sever and Preliminary Objections seeking to divide the negligence claims against the tortfeasor from the UIM breach of contract claims against the UIM carrier.). Hoffman v. Ellis and State Farm, No. 2011-8417 (C.P. Wash. Co. Feb. 15, 2011 DiSale, J.,) (Court issued Order overruling a Defendant’s Preliminary Objections and Motion to Sever a post-Koken automobile accident litigation. The Court did state in its Order that it would “reconsider the issue of Severence prior to trial.”). Moninghoff v. Tilet and Allstate Insurance Company, No. 11-Civil-7406 (E.D. Pa. June 27, 2012 McLaughlin, J. ), Federal Eastern District Court Judge Mary A. McLaughlin granted the Defendant, Allstate Insurance Company’s Motion to Stay Plaintiffs’ bad faith claims in a post-Koken litigation. Megert v. Stambaugh, Erie Ins. Co., and The Hartford, 2010 WL 231525, No. 2009-S-1416 (Adams Co., Jan. 15, 2010, Kuhn, P.J. )(Court rules in favor of the severance of the third party claims against the tortfeasor from the UIM claims asserted against the two separate levels of UIM carriers). Michaleski v. National Indemnity Co., No. 09-S-1529 (Adams Co. Dec. 22, 2009, Kuhn, J. )(Carrier's preliminary objections to Plaintiff's attempt to join suit against third party tortfeasor for damages with declaratory judgment suit against first party carrier granted as claims do not arise out of same transaction or occurrence.). Jenkins v. State Farm, G.D. 07-020234 (Allegh. Co. Aug. 30, 2009, Wettick, J. )(Motion to Sever and Stay Bad Faith claim granted in UIM/Bad Faith litigation). Wutz v. Smith and State Farm, GD07-021766 (Allegh. Co. March 2, 2010, Strassburger, J. )(Court ordered the severing of a third party claim from a UIM claim and Bad Faith claim against the UIM carrier. In this case, the UIM carrier paid the third party defendant’s settlement offer under Daley-Sand and thereby stepped into the Plaintiff’s shoes against the third party tortfeasor. Since there was no longer any “live dispute” against a tortfeasor in this matter, Judge Strassburger thought it appropriate to sever the cases and to allow the Plaintiff to proceed on the UIM and bad faith claims first.). Muller v. Erie Insurance Exchange et al., No. 11362-2011 (C.P. Beaver Co., February 1, 2012, Kunselman, J. )(Court granted the preliminary objections of Erie Insurance Exchange and ordered the contractual and statutory bad faith counts to be severed from the underinsured motorist breach of contract count. The Court also issued a stay order on the bad faith action.). Weichey v. Marten and Allstate, 2009 WL 4395727, A.D. No. 09-10116 (Butler Co., June 11, 2009, Yeager, J. )(Court orders severance of UIM and third party claims under the general rationale that insurance is not admissible in third party negligence actions). Marburger v. Erie Ins. Exchange, 2009-Civil-10927 (Butler Co. June 19, 2009, Horan, J. )(Motion to Sever and Stay on behalf of Erie granted; court precluded plaintiffs from conducting any bad faith discovery until further Order of court and permitted severance and stay of plaintiff's bad faith action pending resolution of UIM claim). See also Lowry v. Aliquo and Erie Insurance Exchange, 159 PLJ 35 (Alleg. Co. 2010, Strassburger, J. )(Allegheny County Court of Court enforced the carrier’s forum selection clause for a UIM claim which required venue against carrier to be in Butler County under facts presented. Allegheny County Court notes that severance is the rule in Butler County and therefore severed the UIM claim and transferred only that claim to Butler County.). Stumpf v. Erie Ins. Exchange and Barricklow, No. 2011 - Civil - 7290 (C.P. Cumb. Co. Feb. 2, 2012 Hess, P.J. )(President Judge Kevin Hess of the Cumberland County Court of Common Pleas issued an Order directing the severance of the liability claims (negligence) and the UIM claims (breach of contract) found in a single Complaint into separate trials; Order allows claims to remain consolidated for discovery purposes.). Henry v. Amin and Westfield Ins. Co., No. 11-4881 Civil (C.P. Cumberland Sept. 1, 2011 Ebert, J. )(By Order only, court severs negligence claims against tortfeasor from breach of contract claims against UIM carrier; court also orders that negligence claim is to be tried first). Bryant v. Graham and Allstate, No. 09-11736 (Del. Co. May 26, 2010, Pagano, J. )(Order only)(Court grants Motion to Sever breach of contract and bad faith claims asserted against UM carrier from the UM claim and the negligence claim against the tortfeasor; no motion to sever UM claim from negligence claim filed). Ryan and Neilson v. Hatala and Allstate, No. : 12-004323 (C.P. Delaware Nov. 12, 2012 Proud, J.) (In Order without Opinion, the trial court sustain the third party Defendant’s Preliminary Objections under arguments that the presence of the UIM carrier in action would cause the tortfeasor Defendant undue prejudice and would violate Pa. R.E. 411. The third party Defendants also argued that the causes of action were impermissibly joined together under Pa. R.C.P. 2229(b) because the issues and proofs at issue in the Plaintiffs’ negligence claims were different from the issues and proofs at issue in their claims against the UIM carrier. The court granted the Preliminary Objections of the third party Defendants and dismissed them from the action without prejudice to the Plaintiffs’ right to institute a separate action against them). Crownover v. Orzano, Liberty Mutual Group, Inc., et.al., No. 14329-2011 (C.P. Erie Co. March 9, 2012 Garhart, J. )(Court sustained a tortfeasor’s Preliminary Objections on the subject of improper joinder and ordered that the Plaintiff “shall try their liability claims against [the tortfeasor Defendant] separately from their contract/UIM claims against the other Defendants.”). Santos v. Erie Insurance Exchange, No. 12835-Civil-2011 (C.P. Erie Co. Feb. 22, 2012 Connelly, J. )(Court granted the carrier’s Motion to Sever the Plaintiffs’ UIM breach of contract claim and bad faith claim in a post-Koken matter. The Court also sustained the Defendant’s Motion to Strike claims for punitive damages and attorney’s fees asserted under the breach of contract portion of the claim. Brown v. Haas and State Farm, No. 11658 - 2011 (C.P. Erie Oct. 31, 2011 Connelly, J. )(In an Opinion, court granted the preliminary objections filed by the tortfeasor defendant seeking a severance of the negligence and UIM claims on the basis that the tortfeasor would be prejudiced by the introduction of evidence of insurance in violation of Pennsylvania law. The defense also argued that the claims did not arise out of the same "occurrence" in that one action was in negligence and the other in contract. Court also struck bad faith claim filed against UIM carrier as sufficient facts not pled in support of that claim.). But see above in "Consolidation" listing Jordan v. White, Gonzales, and Erie Insurance Exchange, No. 15540-Civil-2009 (Erie Co. October 28, 2010, Garhart, J. )(Court denied Preliminary Objections by the UIM/UM carrier seeking severance; Court says it will entertain a motion to sever at the time of trial, if desired). Burr v. Erie Ins. Exchange, No. 008-Civil-2011/Forest County Branch (Warren and Forest Co., April 6, 2011, Hammond, J. )(Court ruled in an Order only that a combined UIM and Bad Faith lawsuit would be severed and that the discovery and trial in the Bad Faith aspect of the case could only occur after the resolution of the UIM case by verdict or settlement.). Mehall v. Benedetto and Erie Ins. Exchange, 09-CV-744 (Lacka. Co. 2010, Thomson, S.J. )(Creating a split of authority in this county, the court orders that third party and UIM claims should be severed into two separate lawsuits; Motion for Reconsideration denied by July 10, 2010 Court Order issued by Judge Thomson). Burton v. Burton and USAA, No CI-09-09343 (Lanc. Co. , Miller, J. )(Opinion and Order issued granting a tortfeasor's preliminary objections filed by both the tortfeasor and and the first party carrier arguing a misjoinder of actions. As a result of this decision, the negligence claim asserted against the tortfeasor was severed from the breach of contract claim asserted by the Plaintiff against his own carrier related to a denial of first party medical benefits following a peer review.). Dunkelberger v. Erie Insurance Company, No. 2010-Civil-01956 (Leb. Co. Jan. 24, 2011, Charles, J. )(Motion of Erie Insurance Company for an Emergency Protective Order and Stay granted in terms of any discovery requested by the Plaintiff on the bad faith claim. Judge Charles also ruled that the Plaintiff’s UIM claim was to be severed from the bad faith claim.). Gravatt v. Smith and Unitrin Auto and Home Ins. Co., No. 2010-Civil-2155 (Mercer County Oct. 15, 2010, Fornelli, P.J. )(Court grants UIM carrier's Preliminary Objections/Motion to Sever and grants plaintiff right to re-file against UIM carrier under a different docket number). Dunne v. Closs, Progressive, et al., No. 09-38446 (Montg. Co. June 29, 2010, Moore, J. )(Court upholds forum selection clause of UIM carrier and severs UIM claim with allowance for Plaintiff to re-file in appropriate county). Silver v. Wood, April Term, 2013 No. 00276 (C.P. Phila. Sept. 20, 2013 Lachman, J. )(Following Sehl v. Neff decision by Judge Tereshko, trial court denied plaintiff’s Petition to Amend Complaint to Add Additional Defendant, holding that negligence claim against defendant driver is wholly separate from UIM claim; court also cites failure of plaintiff to allege joint and several liability; court also cites potential confusion of issues and prejudice if joinder allowed.). Parsons v. Hinton and State Farm Insurance Company, No. 02137, August Term, 2010 (C.P. Phila. Co. Dec. 1, 2011, Tereshko, J.) (By Order only, Court grants tortfeasor Defendants’ Motion to Sever actions filed by Plaintiff against third party tortfeasor and UIM carrier). Burke v. Burke and State Farm Insurance Company, No. 1875, August Term, 2011 (C.P. Phila. Co. Jan. 27, 2012) (By Order only, Court denies Motion to Consolidate filed by UIM carrier). Antrim v. Bullard and State Farm Mutual Automobile Insurance Company, No. 294, June Term, 2011 (C.P. Phila. Co. Oct. 11, 2011, Manfredi, J.) (By Order only, Court grants tortfeasor Defendants’ Preliminary Objections and severs the claims against the tortfeasor against the claims against the UIM carrier; court also transfers claims against the tortfeasor Defendants to Delaware County as the Plaintiff did not allege any basis for venue in Philadelphia as to the tortfeasor Defendants). Dangler v. Robinson and AIU Insurance Company, March Term 2009, No. 4027, Control No. 09-092828 (Phila. Co. 2010, DiVito, J. )(Court issued an Order only granting the tortfeasor's preliminary objections, alleging a misjoinder of actions, in a post-Koken case.The Court, by Order only and without any Opinion, severed the UIM claim and ordered that it be tried separately from the third party claim.). Astillero v. Harris and State Farm, August Term 2009, No. 1580 (Phila. Co. Dec. 11, 2009, Fox, J. )(Without Opinion, court orders claims are severed "for purposes of trial only" presumably meaning claims may proceed together in discovery phase). Overton, J. )(third party claims and UIM claims severed for all purposes, not just for trial purposes). Schramm v. McComb and Penn National Insurance and State Auto Insurance, No. 1002 03394 (Phila. Co. May 10, 2010, Tereshko, J.) (Court granted the preliminary objections of the tortfeasor defendants and severed the third party claims from the UIM claims and ordered separate trials). Thomas v. Titan Auto Ins., Nationwide Ins, Jones, and Briel, March Term 2010, No. 03050 (Phila. Co. May 10, 2010, Tereshko, J)(Court severed the third party liability claim filed against an owner and operator of a vehicle, which vehicle was reported stolen after the accident, from the uninsured (UM) motorist claim against one of the carrier defendants; Judge Tereshko not only severed the matters from each other but also transferred both claims to Montgomery County. )(Update: In court's Rule 1925 Opinion, trial court clarified that it was only sending the negligence claim to Montgomery County and was keeping the UIM claim in Philadelphia County). Carter v. Gillespie and Travelers Insurance Company, April 2010 Term No. 0564 (Phila Co. May 27, 2010, Tereshko, J.) (Court granted the third party tortfeasors' Preliminary Objections asserting a Misjoinder of Actions; Judge Tereshko ordered the actions severed and also mandated that the matters were to be tried separately.). Levin v. Grandinetti and Progressive Direct Ins. Co., March Term, 2010 No. 0080 (Phila. Co. June 14, 2010, Tereshko, J. )(Without Opinion, preliminary objections of UIM carriers to joinder of claims with negligence claims granted.). Pascal v. Nalbondian, et al., July Term, 2010, No. 2118, Control No. 10121229 (Phila. Co. Jan. 14, 2011, Fox, J. )(Tortfeasor's motion to sever negligene claims from claims filed against UIM carrier granted). Gollinge-Motroni v. Machado and Allstate Ins. Co., October Term 2010 No. 002528 (Phila. Co. Jan. 14, 2011, Tereshko, J. )(negligence and UIM claims severed and cases transferred for improper venue). Levin v. Grandinetti and Progressive, March Term 2010, No. : 0080 (C.P. Phila. June 14, 2010 Tereshko, J.). (Without Opinion, court granted Preliminary Objections of the UIM carrier based upon improper joinder of causes of action and improper venue. The court severed Plaintiff’s claims against the third party Defendant and the UIM carriers without prejudice to the Plaintiff’s right to file their UIM claims in Montgomery County or the US District Court for the Eastern District of Pennsylvania). Matteo v. Andeno and Progressive, February Term, 2012 No. : 0193 (C.P. Phila. Aug. 2, 2012, Aug. 30, 2012 Tereshko, J.). (By Order without Opinion on August 12, 2012, the trial court sustained the UIM carrier’s Preliminary Objection based upon improper joinder and severed Plaintiff’s negligence and UIM claim. By subsequent Order dated August 30, 2012, the trial court further ordered that the Plaintiffs’ negligence and UIM claims be severed in their entirety for purposes of discovery and trial). Saltzburg v. Hayes and State Farm, November Term, 2010 No. : 03227 (C.P. Phila. Jan. 19, 2011 Tereshko, J.) (Without Opinion, a trial court sustained the Preliminary Objections of the third party Defendant seeking severance of the Plaintiff’s third party and UIM claims. The court dismissed Plaintiff’s claims against the third party Defendant without prejudice to the Plaintiff’s right to refile those claims in Montgomery County). Skrocki v. Erie Insurance and Row, February Term, 2012, No. : 03826 (C.P. Phila. Feb. 12, 2013 Tereshko, J.) (Following an automobile accident in Berks County, Plaintiff filed a combined negligence/UIM action against the third party Defendant, a resident of Berks County, and the Plaintiff’s UIM carrier. The UIM carrier filed Preliminary Objections seeking severance of the Plaintiff’s negligence in UIM claims and also filed a Motion to Transfer Venue in the basis of forum known conveniens. The trial court granted the carrier’s Preliminary Objections and severed the actions but denied the UIM carrier’s Motion to Transfer Venue. The trial court also ordered that the Plaintiff’s claims against the third party Defendant will be tried first followed by a trial of the Plaintiff’s claims against the UIM carrier and that both trials would be held before different juries. In this matter, the third party Defendant had also filed Preliminary Objections to improper venue, seeking a transfer of the matter from Berks County. The trial court sustained the third party Defendant’s Preliminary Objections and ordered the entire matter transfer to Berks County. The trial court held that because the UIM claim had been severed from the negligence claim, the accident occurred in Berks County, and that the third party Defendant was served with process in Berks County, there is simply no connection with this case to support proper venue in Philadelphia County. Nelson Rios v Andy Parker, Phila. Ct. Com. Pl., November Term, 2011, No. 01208, Control No. 11123460 (March 1, 2012, Lachman, J.) (negligence claim against other driver and UIM claim against own insurer; PO filed by the other driver granted to sever tort and contract claims). Tuan Ahn Ly v. Shawn Murray, Phila. Ct. Com. Pl., June Term, 2013, No. 02575, Control No. 3071025 (August 6, 2013, Lachman, J.) (granting insurance company’s preliminary objection and severing UM and UIM claims from tort claims plaintiffs had against the other driver; order adopts all of the other opinions as the opinion in this motion). Jamal Giddings v. Traci Poe, Phila. Ct. Com. Pl., October Term 2011, No. 02393, Control No. 12013528 (April 30, 2012, Lachman, J.) (negligence claim against other driver and UM claim against own insurer; Motion filed by UM carrier is granted to sever tort and contract claim). Kevin Nguyen v Anvel Dorvil, Phila. Ct. Com. Pl., October Term, 2011, No. 03880, Control No. 12020163 (May 10, 2012, Lachman, J.) (negligence claim against other driver and UIM claim against own insurer; Motion filed by UIM carrier is granted to sever tort and contract claim). Barrett v. Pennsylvania Nat'l Mut. Cas. Ins. Co., No. S-1861-2012 (C.P. Schuylkill Co. March 18, 2013 Domalakes, J. )(Judge John E. Domalakes granted an insurance carrier defendant's motion to sever a bad faith claim from a UIM claim but refused to stay the bad faith discovery.). Corridoni v. Temple and MetLife Auto & Home et.al., No. S-1470-2010 (Schuylkill Co. Nov. 5, 2010, Russell, J. )(Order entered severing the claims against the tortfeasor from the claims asserted against the insurance company Defendants for UIM benefits.). Boughner v. Erie Ins. Exchange, No. 1875 - Civil - 2010 (C.P. Venango Co. April 16, 2012 Boyer, J. )(Court granted the UIM carrier's Motion to Sever the Bad Faith Count from the UIM contractual claim and also the Motion to Stay any discovery under the bad faith claim.). Barcus v. Mannino and Allstate Ins. Co., 2009 - Civil - 10171 (Wash. Co. June 15, 2010, Loughran, S.J. )(Court rules in favor of UIM carrier's preliminary objections and severs third party liability claims from the companion UIM claims.). Forry v. Erie Insurance Exchange, No. 2013-SU-1162-89 (C.P. York Co. July 15, 2013 Linebaugh, P.J. )(President Judge Stephen P. Linebaugh of the York County Court of Common Pleas granted a Motion to Sever and Stay the bad faith claim filed Defendant, Erie Insurance Exchange in a combined UIM/bad faith litigation. The Court further ordered that all further pleadings, discovery, and trial of the bad faith claim was severed and stayed until after the Plaintiff’s claims for UIM benefits have been concluded by settlement or final verdict.). Winkler v. Argabright and Allstate Insurance Company, No. 2009 -SU -001244 -01 (York Co. May 20, 2010 Chronister, Thompson, Linebaugh) (Court issued an en banc decision, by Order only, granting a tortfeasor's Preliminary Objections and request for severance of the third party claims from the UIM claims). Griffiths v. Allstate, No. 3:13 - CV - 02674 (M.D. Pa. Feb. 21, 2014 Mannion, J. ), Middle District of Pennsylvania Federal Court Judge Malachy E. Mannion issued a detailed Opinion outlining his rationale for following the majority rule in the Middle District in favor of denying Motions to Sever bad faith claims from the breach of contract claim for UIM benefits. Cooper v. MetLife Auto and Home, No. 687-2013 (W.D.Pa. Aug. 6, 2013 Conti, J. )(Court denied UIM carrier’s motion to sever and stay bad faith claim for failure to establish that bifurcation was appropriate. Court found that the issues in the UIM and bad faith claims were not significantly different, many of the witnesses would be the same in both trials, and any minor prejudice that might exist was outweighed by the court’s obligation to promote the expeditious resolution of a case.). Craker v. State Farm, No. 2011 – Civil – 0225 (W.D.Pa. Sept. 29, 2011 Lancaster, C.J. )(Carrier's request to sever Bad Faith and UIM claim denied). Gunn v. Auto. Ins. Co. of Hartford, Conn., 2008 WL 6653070, GD07-Civil-002888 (Alleg. Co. July 25, 2008, Wettick, J. )(Bad faith claim and UIM claim allowed to proceed together; Court also rules that Plaintiff's efforts to discover UIM carrier's evaluation information denied as such information is protected from discovery by the privilege against the disclosure of mental impressions, conclusions, or opinions of a representative of a party regarding value. Court notes that such discovery would be allowed once UIM claim is concluded by jury verdict or otherwise.). But see Lackawanna County trial court decisions below in favor of severance of bad faith claims. Schuckers v. Penn National Mut. Cas. Ins. Co., No. 9080 of 2011 (C.P. Luz. Co. Nov. 6, 2012 Amesbury, J. )(Court denied motion to sever and stay bad faith claims pending resolution of UIM claims by noting there would be a “severance of the case by application of law” in that the UIM case would be tried first followed by a bench trial on the bad faith claim. Court also denied the UIM carrier’s motion to stay bad faith discovery, noting that UIM carrier had the right to protect non-discoverable information and that the UIM carrier’s conclusions or opinions regarding the strengths and weaknesses of the Plaintiff’s case would be protected from disclosure until the completion of the UIM claim; cites Judge Wettick’s decision in Gunn v. Auto. Ins. Co. of Hartford.). Jenkins v. State Farm, G.D. 07-020234 (Alleg. Co. Sept. 9, 2009, Wettick, J. )(Motion to stay and sever granted in UIM/Bad Faith case. Hartman v. Schofield and Progressive Insurance, 2009 - Civil - 11956 (Bucks Co. Feb. 16, 2010, Waite, J. )(Court granted Preliminary Objections of the UIM carrier requesting that the bad faith claim be severed from the third party claims and the UIM claim all filed under one caption). Bryant v. Graham and Allstate, No. 09-11736 (Del. Co. May 26, 2010, Pagano, J. )(Order only)(Court grants Motion to Sever and severs breach of contract and bad faith claims asserted against UM carrier from the UM claim and the negligence claim; no motion to sever negligence claim from UM claim filed). Brown v. Haas and State Farm, No. 11658 - 2011 (C.P. Erie Oct. 31, 2011 Connelly, J. )(In an Opinion, court struck bad faith claim filed against UIM carrier as sufficient facts not pled in support of that claim.). Augustine v. Erie Ins. Exchange, 2006-Civil-416 (Lacka. Co. August 1, 2008, Mazzoni, J. )(Court allowed discovery in a UIM/bad faith case to proceed in a consolidated fashion but grants motion to sever for trial purposes). Smith v. GEICO, No. 10-CIV-2024 (Lacka. Co. Aug, 18, 2010, Thomson, S.J.) (Courtr sustained GEICO’s Preliminary Objections to the extent that the bad faith claim contained in the Plaintiff’s Complaint would be severed from the action and the parties would proceed with the claims bifurcated. Although defense counsel also requested a stay of any bad faith discovery, that part of the Defendant’s request was not addressed in the Court Order.). Dunkelberger v. Erie Insurance Company, No. 2010-Civil-01956 (Leb. Co. Jan. 24, 2011 Charles, J. )(Motion of Erie Insurance Company for an Emergency Protective Order and Stay in terms of any discovery requested by the Plaintiff on the bad faith claim. Judge Charles also ruled that the Plaintiff’s UIM claim was to be severed from the bad faith claim.). Zembrzicki v. Allstate Fire & Cas. Ins. Co., 2013 - 475CP(C.P. Susq. Co. 2013 Seamans, J. )(Court granted a UIM carrier's request to sever the UIM claim from a bad faith claim.). But see Richner v. McCance and Erie Insurance Group, 2011 WL 32499, 2011 Pa.Super. 4, No. 2045 WDA 2009 (Pa.Super. Jan. 6, 2011, Stevens, Donohue, and Ott, JJ.). (The Superior Court applied Pa.R.C.P. 2229(b), pertaining to the joinder of actions, and found that the requirements of that rule were not met to allow for a joinder of a tort claim with a declaratory judgment action on a coverage question. More specifically, the court found that, although the tort allegations and the coverage question essentially both arise out of the same accident, the liabilities of the respective defendants arise from different circumstances, i.e. one in tort and the other in contract law. The court also found that the questions of law at issue were not common to both actions. In that same footnote, the Superior Court also stated, "We emphasize that we are not here deciding the propriety of the joinder of third party liability claims with post-Koken UIM benefit claims."). Otto v. Erie Ins. Exch., No. 13-CV-06722 (E.D.Pa. March 31, 2014 Brody, J. )(Plaintiff sued UIM carrier in Eastern District. Erie forum selection clause provides that “[s]uit must be brought in a court of competent jurisdiction in the county and state of [plaintiff’s] legal domicile at the time of the accident.” Plaintiff resided in Montgomery County and sued in Eastern District Federal Court. UIM carrier’s motion to dismiss pursuant to forum non conveniens doctrine arguing that only the Montgomery Court of Common Pleas was the proper venue was rejected as the Eastern District Federal Court was a court of competent jurisdiction that covered Montgomery County.). Lowry v. Aliquo and Erie Insurance Exchange, 159 PLJ 35 (Alleg. Co. 2010, Strassburger, J. )(Court enforced the carrier’s forum selection clause for a UIM claim which required venue against UIM carrier in Butler County under facts presented. Court then severed the cases under Butler County and transferred only the UIM portion of the action to Butler County.). Werner v. Jamison and Erie Ins., 2011 CV-3221 (March 7, 2012 Evans, J. )(Court issues Order only denying preliminary objections filed by Erie Insurance asserting improper venue.). Kichline v. Erie Ins. Exchange, 2009 CIV 3052 (Lacka. Co. Feb. 16, 2010, Thomson, S.J)(Venue/forum selection clause of UIM policy upheld and case transferred to proper county). Walls v. Erie Ins. Co. and Muneshwar, No. 15095 of 2009 (Luz. Co. Feb. 24, 2010, Amesbury, J. )(court transfered a post-Koken case to its proper venue of Columbia County. Plaintiff resided in Columbia County and was involved in a Luzerne County car accident. Plaintiff filed a lawsuit in Luzerne County against the tortfeasor and the UIM carrier. The policy of the UIM carrier, Erie Insurance, provided that all UIM claims must be filed in the county of the Plaintiff's residence which, as noted, was Columbia county in this case; court transferred case to Columbia County). Dunne v. Closs, Progressive, et al., No. 09-38446 (Montg. Co. June 3, 2010, Moore, J. )(Court upholds forum selection clause dismisses case with allowance for Plaintiff to re-file in appropriate county.). Motta v. Allstate Ins. Co., March Term 2013, NO. 0839 (C.P. Phila. Co. April 22, 2013)(Court issued Order only upholding Allstate's Preliminary Objections based upon forum selection clause and transferred the case to Berks County.). Fish v. Erie Insurance Company, No. 003411 Jan. Term, 2013 (Phila. Co. 2013 New, J. )(Court issues Order only granting Erie Insurance Company's preliminary objections and transferring venue of a UIM case from Philadelphia to Franklin County. Relies on Erie's forum selection clause. UPDATE: Trial court subsequently issued a Rule 1925 Opinion providing rationale in support of its Order. That Opinion can be viewed HERE). Lewis v. Fischer and Donegal Mutual Ins. Co., Nos. 11-081103, 11-080580 (C.P. Phila. Co. Oct. 12, 2001 Manfredi, J. )(In this case, by way of Order only with an explanatory footnote, Judge William J. Manfredi granted the Defendants’ Preliminary Objections and ordered that the breach of contract claims against the UIM carrier and the negligence claims against the third party tortfeasor be severed. Judge Manfredi also noted that venue as to any non-insurance Defendant would be transferred to Delaware County given that there was no basis for venue against those Defendants in Philadelphia under Pa. R.C.P. 1006(c)(1). Judge Manfredi also shipped off the claims against the insurance company Defendant to Chester County based upon the insurance contract form selection clause. As such, the ultimate result of this order was that the post-Koken case filed in the Philadelphia County Court of Common Pleas was severed and sent elsewhere.). Sehl v. Neff and State Farm, May Term 2009 No. 2487 (Phila. Co. Oct. 22, 2009, Allen, J. )(Accident and torfeasor defendant from Montgomery County; UIM carrier's policy did not have forum selection clause; Plaintiff filed in Philadelphia County on grounds that UIM carrier conducted business in that County; Tortfeasor defendant argued, under Pa.R.C.P. 1006, that since tortfeasor and UIM carrier are not joint tortfeasors, tortfeasor defendant can not be compelled to litigate where it might be appropriate based upon proper venue for UIM carrier. Tortfeasor defendant's preliminary objections based upon improper venue granted. [See above synopsis of Superior Court Affirmance.]. Campbell v. Kelly and State Farm, December Term 2009 No. 208 (Phila. Co. March 10, 2010, Overton, J. )(Accident and tortfeasor defendant from Bucks County; UIM carrier's policy did not have forum selection clause; Plaintiff filed in Philadelphia County on grounds that UIM carrier conducted business in that County; Tortfeasor defendant argued, under Pa.R.C.P. 1006, that since tortfeasor and UIM carrier are not joint tortfeasors, tortfeasor defendant can not be compelled to litigate where it might be appropriate based upon proper venue for UIM carrier. Tortfeasor defendant 's preliminary objections based upon improper venue denied.). Pippett v. Radu and State Farm, March Term 2010, No. 3305 (Phila. Co. July 14, 2010, Tereshko, J. )(Court considered a motion for reconsideration of the court's prior overruling of the tortfeasor's preliminary objections on the issue of improper venue. Case arose out of a Delaware County motor vehicle accident and all of the individuals involved resided in Delaware County as well. The Plaintiff joined State Farm in the litigation on a UIM claim (State Farm's policy language requires that the UIM lawsuit be pursued in the same suit as the claim against the tortfeasor). The Plaintiff filed in Philadelphia County presumably due to State Farm's presence in that county. Although Judge Tereshko originally denied the tortfeasor defendant's Preliminary Objections, upon revisiting the matter via the motion for reconsideration, the Judge issued this July 14, 2010 Order granting the Preliminary Objections and ordered the matter transferred to Delaware County). Kochergina v. Liberty Mutual Ins. Co., et al., August Term 2010, No. 2880 (Phila. Co. October 1, 2010 Moss, J. )(Court granted the tortfeasor's defendant's Preliminary Objections based upon an allegation of improper venue. The parties resided in Bucks County and the accident happened in Bucks County. Plaintiff filed in Philadelphia on the grounds that the UIM carrier did business there. The Court ruled in favor of the tortfeasor defendant's improper venue Preliminary Objections and transferred the case to Bucks County with all costs to be borne by plaintiff. UIM carrier had also filed Preliminary Objections based upon forum selection clause. Judge Moss also ruled that the decision on the remainder of the Defendants' Preliminary Objections were deferred and left to be decided by the Bucks County Court of Common Pleas.). Miscannon v. State Farm, GEICO, and Norris, Term June 2010, No. 003302 (Phila. Co. Nov. 30, 2010, J. Rau)(UIM carrier's transfer of venue request denied. No rationale is stated in the Order. It is noted that UIM carrier's preliminary objections were filed late--denied on procedural basis?). Gollinge-Motroni v. Machado and Allstate Ins. Co., October Term 2010 No. 002528 (Phila. Co. Jan. 14, 2011, Tereshko, J. )(negligence and UIM cases severed and cases transferred for improper venue). Johns v. Jones and Erie Insurance Exchange, January Term, 2011, No. : 1395 (C.P. Phila. Mar. 17, 2011 Moss, J.) (A Delaware County resident Plaintiff was injured in a motor vehicle accident in Philadelphia County, which accident was allegedly caused by a tortfeasor who resided in Philadelphia County who was operating a vehicle owned by a third party Defendant owner who resided in Delaware County. At the time of the accident, the Plaintiff maintained a UIM policy with Erie, which contained a venue clause that required all suits against Erie for UIM benefits to be filed in the insured’s legal domicile at the time of the accident. The Plaintiff filed suit in Philadelphia County against third party tortfeasors and the UIM carrier. Erie filed Preliminary Objections to improper venue citing the venue clause. Without Opinion, the trial court entered an Order transferring the entire matter to the Court of Common Pleas of Delaware County). Levin v. Grandinetti and Progressive, March, Term 2010, No. : 0080 (C.P. Phila. June 14, 2010 Tereshko, J.) (Montgomery resident Plaintiffs were involved in an accident in Philadelphia County. Two of the third party Defendants resided in New Jersey and a third was resident of Montgomery County. Without Opinion, the trial court granted the Preliminary Objections of the UIM carrier and severed the Plaintiff’s claims against the third party Defendants and the UIM carriers, without prejudice to the Plaintiffs’ right to file their UIM claims in Montgomery County or in the U.S. District Court for the Eastern District of Preliminary Objections. Morroney v. Allstate, November Term, 2011, No. : 0931 (C.P. Phila. Dec. 28, 2011 Moss, J.) (Montgomery County resident Plaintiff was injured in a motor vehicle accident. The Plaintiff maintained a UIM policy with Allstate that contained a venue clause requiring all lawsuits against Allstate for UIM benefits to “be brought, heard, and decided in the county in which your [the insureds] address shown on the policy declarations is located.” Following the accident, the Plaintiff filed suit in Philadelphia County given that Allstate regularly conducted business in that county. Allstate filed Preliminary Objections to improper venue, citing the venue clause. Without Opinion, the trial court sustained Allstate’s Preliminary Objections and transferred the entire matter to the Court of Common Pleas in Montgomery County). Levin v. Grandinetti and Progressive Direct Ins. Co., March Term, 2010 No. 0080 (Phila. Co. June 14, 2010, Tereshko, J. )(Plaintiff resident of Montgomery County injured in Philadelphia County Defendant. Two of third party defendants were New Jersey residents and the third tortfeasor was a resident of Montgomery County. Without Opinion, court granted preliminary objections of UIM carriers and severed the third party negligence claims from the UIM claims without prejudice to the Plaintiff's right to file their UIM claims in Montgomery County or in the U.S. District Court for the Eastern District.). Kochergina v. Liberty Mutual Ins. Co., et al., August Term 2010, No. 2880 (Phila. Co. October 1, 2010 Moss, J. )(Court granted the tortfeasor's defendant's Preliminary Objections based upon an allegation of improper venue. The plaintiff and the tortfeasor defendant resided in Bucks County and the accident happened in Bucks County. Also, the UIM carrier had a forum selection clause the application of which called for the case to go to Bucks County. The court ordered case transferred to Bucks County with all cost to be borne by Plaintiff. Judge Moss also ruled that the decision on the remainder of the Defendants' Preliminary Objections were deferred and left to be decided by the Bucks County Court of Common Pleas.). Johns v. Jones and Erie Ins. Exchange, Jan. Term, 2011, No. 1395 (Phila. Co. March 17, 2011, Moss, J. )(Delaware Plaintiff injured in Philadelphia accident by Philadelphia resident Defendant. Plaintiff covered by Erie Insurance policy which has venue selection clause (insured's "legal domicile at time of accident"). 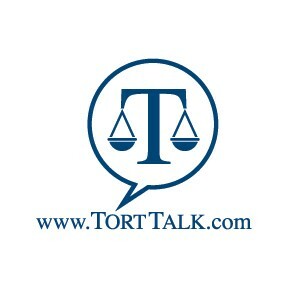 Plaintiff files suit against third party tortfeasor and Erie in Philadelphia County. Without Opinion, court grants Erie Insurance preliminary objections on improper venue and transfers the entire case to Delaware County.). Spano v. Carney and Nationwide, March Term, 2008, No. : 5707 (C.P. Phila. July 3, 2008 New, J.) (Bucks County resident Plaintiff was injured in a car accident in Bucks County caused by a third party Defendant who resided in Bucks County. Plaintiff filed suit against the third party Defendant and the UIM carrier in Philadelphia County on the basis that Nationwide conducted business in Philadelphia. The third party Defendant filed Preliminary Objections to improper joinder and improper venue. Without Opinion, the trial court denied both Preliminary Objections). Taylor v. Nationwide and Natale, August Term, 2008, No. : 3204 (C.P. Phila. Dec. 14, 2009 Abramson, J.) (Plaintiff and third party Defendants were residents of Chester County and were involved in a motor vehicle accident in Chester County. Plaintiff filed a lawsuit against the third party Defendants and the UIM carrier of Philadelphia County. Without Opinion, the trial court denied third party Defendant’s Motion to Transfer Venue from Chester County on grounds of forum known conveniens). Emery v. Culver and Nationwide, No. 6764 – CIVIL – 2010 (C.P. Luz. Co. Sept. 28, 2011 Burke, J. )(By Order only, Court sustained the tortfeasor Defendant’s Preliminary Objections and struck the Co-Defendant UIM carrier’s cross-claim for contribution or indemnification; defense relied upon Monroe County decision in Bridgeman noted below). Bridgeman v. Cruz, PICS Case No. 11-0238 (Monroe Co., Jan. 7, 2011, Wallach, Miller, J. )(Court sustained the tortfeasor Defendant’s Preliminary Objections and struck the Co-Defendant UIM carrier’s cross-claim for contribution or indemnification after finding that such claim was not yet ripe for judicial review.). Craker v. State Farm, No. 2011 – Civil – 0225 (W.D.Pa. Sept. 29, 2011 Lancaster, C.J. )(Court rejects carrier's request for stay of any bad faith discovery until UIM claim completed). Wutz v. Smith and State Farm Ins. Co., No. GD07-21766 (Allegheny Co., Sept. 9, 2009, Wettick, J. )(Judge sets up discovery time table in case where UIM breach of contract claim consolidated with bad faith claim--no discovery on bad faith until UIM claim concluded). Dunkelberger v. Erie Insurance Company, No. 2010-Civil-01956 (Leb. Co. Jan. 24, 2011 Charles, J. )(Motion of Erie Insurance Company for an Emergency Protective Order and Stay in terms of any discovery requested by the Plaintiff on the bad faith claim until resolution of UIM claim. Judge Charles also ruled that the Plaintiff’s UIM claim was to be severed from the bad faith claim.). Welcomer v. Donegal Mut. Ins. Co., No. 2011-CV-474 (Dauphin Co. June 24, 2011, Lewis, J. )(In Order only, court grants Plaintiff's motion to compel discovery of UIM carrier's settlement evaluation and reserves information; also allows for depostion of claims rep without limitations). Engel v. State Farm Mut. Auto. Ins. Co., No. 13083 - Civil - 2011 (C.P. Erie Co. Dec. 11, 2012 Connelly, J. )(Court issued an Order only granting State Farm's Motion for a Protective Order for Corporate Designee Deposition and quashing a Notice of Deposition sent to a UIM carrier's claims representative. Court emphasized that many of the questions posed in the Notice of Corporate Designee Deposition were previously answered in written discovery responses submitted to State Farm and that the Plaintiff did not object to any such responses. Court noted that the remainder of the questions noted in the Deposition Notice were either irrelevant or impermissibly inquired into the corporate designee's (i.e. claims representative's) mental impressions, conclusions, or opinions respecting the value or merit of a claim or defense or respecting strategy or tactics in violation of Pa.R.C.P. 4003.3.). Griffin and Erie Ins. Exchange, No. 17274 of 2012 (C.P. Luz. Co. Oct. 4, 2013 Burke, J. )(By Order only, Court grants the Motion of Erie Insurance Company for a Protective Order against the Plaintiff's request for a deposition of that UIM carrier's claims representative in a Post-Koken automobile accident case.). Krznefski v. Bish and State Farm, No. 16643 of 2012 (C.P. Luz. Co. Oct. 4, 2013 Burke, J. )(By Order only the Court grants the Motion of State Farm Mutual Automobile Insurance Company for a Protective Order against the Plaintiff's request for a deposition of that UIM carrier's claims representative in a Post-Koken automobile accident case.). Paulewicz v. Fronczkewicz and State Farm, No. 10655 of 2009 Civil (Luz. Co. Feb. 1, 2010, Amesbury, J. )(In Order only, Court allows deposition of claims representative but precludes questions regarding mental impressions, conclusions or opinions regarding value of claim). Liszka v. Ferro and GEICO, No. 109 - 2010 - Civil (Pike Co. March 20, 2011 Chelak, J. )(In an Opinion, Court denies motion for protective order by GEICO seeking to stop Plaintiff's deposition of claims representative; however, court cautions that deposition may only cover those areas allowed by Rules of Civil Procedure pertaining to discovery). Wutz v. Smith and State Farm, 2009 WL 2920956, No. GD07-021766 (Alleg. Co. Sept. 9, 2009, Wettick, J. )(Plaintiff's motion to compel discovery of State Farm's UIM evaluation information denied as such information is protected from discovery by the privilege against the disclosure of mental impressions, conclusions, or opinions of a representative of a party regarding value.). Migatulski v. Nationwide, Eberts, et al., No. 7269 - Civil - 2006 (Luz. Co. Sept. 7, 2010, Wetzel, J.) (UIM carrier's objection to discovery of reserves information sustained). Welcomer v. Donegal Mut. Ins. Co., No. 2011-CV-474 (Dauphin Co. June 24, 2011, Lewis, J. )(In Order only, court grants Plaintiff's motion to compel discovery of UIM carrier's settlement evaluation and reserves information; also allows for depostion of claims rep without limitations; case was settled shortly after Order was entered). Zubeck v. Yogan and State Farm, No. GD 09-014254, 1380 WDA 2012 (C.P. Alleg. Co. Nov. 16, 2012 McCarthy, J. )(Court ruled that it was permissible to hold a Post-Koken trial without identifying the UIM carrier particularly where it appears from the Opinion that the Plaintiff was in agreement with that scenario going into the trial)(But see Stepanovich decision below from Allegheny County). Pelc v. Burkell & State Farm, No. A.D. 2009 483 (C.P. Crawford Sept. 23, 2013)(Plaintiff filed suit against third party tortfeasor and UIM carrier. Plaintiff settled with tortfeasor prior to trial and proceeded to trial against UIM carrier. On the basis of Pa.R.E. 411, UIM carrier filed motion in limine to preclude Plaintiff from identifying UIM carrier by name at trial and to preclude evidence pertaining to the details of the Plaintiff’s auto insurance coverage, the UIM policy limits, and the Plaintiff’s settlement with the third party defendant. Motion in Limine denied with respect to request that UIM carrier not be identified at trial. However, the Motion in Limine as to the remaining issues was granted as the court found that the relevancy of that more specific insurance information was outweighed by the risk of unfair prejudice and the increased potential of confusing the issues and misleading the jury.). Gravatt v. Smith and Unitrin Auto and Home Ins. Co., 2010-Civil-2155 (Mercer Co. Oct. 15, 2010, Fornelli, P.J. )(Claims severed at Preliminary Objections stage under primary rationale that evidence of insurance is not admissible in negligence actions). Stepanovich v. McGraw and State Farm, No. GD 10-16523 (C.P. Allegh. Co. Dec. 10, 2012)(Trial court initially allowed trial to proceed without mention of insurance company UIM defendant; but, in post-trial motions, trial court reversed itself and held that to not identify UIM insurance company defendant while allowing UIM carrier's defense attorney to participate at trial, violates Plaintiff's due process rights; as noted directly above, this decision was overturned on appeal(But see Zubeck decision above from Allegheny County)). Six v. Phillips and Nationwide Ins. Co., 12227-Civil-2008, 2009 WL 2418861 (Beaver Co. June 30, 2009, Kwidis, J. )(dicta)(Preliminary objection by tortfeasor to joinder of third party claim and UIM claim under one caption rejected; court also rules that evidence of insurance may come into evidence at trial for limited purposes.). Bradish-Klein v. Kennedy and State Farm, PICS Case No. 09-2059 (C.P. Beaver Dec. 3, 2009, Kwidis, J. )(dicta)(State Farm was not only UIM carrier, but also provided the liability coverage to the third party tortfeasor; Plaintiff initially filed suit against the third party tortfeasor only and then moved to amend the Complaint to add the UIM claim against the UIM carrier, State Farm. Third party tortfeasor opposed the motion to amend on the grounds that "insurance" would then come into play during the trial; Judge Kwidis relied on his prior decision in Six v. Phillips and Nationwide Ins. Co. to allow the amendment and allow the joinder of the third party claim and UIM claim under one caption; court again notes that fact that evidence of insurance may come in at trial does not preclude joinder). Fennessey v. Sweeney and State Farm Mut. Automobile Ins. Co., No. 2012-2865 (Centre Co. Dec. 11, 2012 Ruest, J. )(dicta)(In Opinion, court denied Defendants' preliminary objections asserting misjoinder of actions and also denied companion motion to sever to allow case to proceed in consolidated fashion. Court states that Pa.R.E. 411 does not warrant severance.). Bingham v. Poswistilo, Ritz, and Erie Ins., No. 10 - CV - 6020 (Lacka. Co., April 8, 2011, Nealon, J. )(In the most thorough Opinion anywhere on the issue, Judge Nealon ruled in favor of consolidation of third party claims and UIM claims for discovery purposes but left door open for parties to revisit severance issue at time of trial; However, court did end up severing claims based upon venue issue, with UIM claim being kept in Lackawanna County pursuant to forum selection clause in policy and with tortfeasor claims being sent to Lehigh County where venue was proper for that part of case. In dicta, the court also noted various avenues to handle evidence of "insurance" at trial). Jannone v. McCooey and State Farm, 2009 WL 2418862, 2320-2008-Civil (Pike Co. April 1, 2009, Chelak, J. )(dicta)(Preliminary objection by tortfeasor to joinder of third party claim and UIM claim under one caption rejected; court also rules that evidence of insurance may come into evidence at trial for limited purposes). Moninghoff v. Tilet and Allstate Insurance Company, No. 11-Civil-7406 (E.D. Pa. June 27, 2012 McLaughlin, J. ),(Federal Eastern District Court Judge Mary A. McLaughlin granted the Defendant, Allstate Insurance Company’s Motion to Stay Plaintiffs’ bad faith claims in a post-Koken litigation). Purta v. Blower and Erie Ins. Exch., No. 2010-C-2515 (C.P. Lehigh Co. Sept. 20, 2011 Reibman, J. )(Court addressed the seemingly novel issue presented by a Motion to Severance filed by the UIM carrier Defendant to bifurcate jointly filed third party and underinsured motorist (UIM) claims into separate trials. In a detailed Order, Judge Reibman granted the UIM carrier's Motion for Severance and ordered that the case proceed to trial with only the Plaintiffs and Defendant tortfeasor being involved in the first trial.). Loefflad v Nauks & Allstate Fire & Casualty Ins. Co., No. 8673 of 2010 (C.P. Luz. Co. June 20, 2012) (By Order only, Judge Gelb denies request to bifurcate Post-Koken case for trial). Price v Price, Auto Glass Unlimited & State Farm, No. 13625 of 2010(C.P. Luz. Co. June 20, 2012)(By Order only, Judge Gelb denies request to bifurcate Post-Koken case for trial). Borthwick v. Webb, No. 2735-Civil-2010 (C.P. Luz. Co. Sept. 7, 2012 Vough, J. )(Court ruled at consolidated Post-Koken trial that “Plaintiff is limited to informing the jury that he had an underinsured policy with Defendant, GEICO Insurance Company. There shall be no other evidence presented to the jury regarding insurance.”). Post v. Schnerring and Liberty Mut. Ins. Co., No. S-1887-12 (C.P. Schuylkill Co. Oct. 22, 2013 Dolbin, J. )(Judge Cyrus Palmer Dolbin of the Schuylkill County Court of Common Please denied Motions to Bifurcate the trial filed by both the UIM carrier, Liberty Mutual Insurance Company and the third party Defendant.). FORM MOTION TO BIFURCATE: In February of 2012, I had an opportunity to draft a Motion to Bifurcate Trial and Supporting Brief in favor of a tortfeasor defendant in a Lackawanna County Post-Koken case. Anyone desiring a copy of the same may contact me at dancummins@comcast.net. Heebner v. Nationwide Ins. Enterprise, No. 10-2381 (E.D. Pa. Sept. 28, 2011)(Court holds that delay damages are to be included as a component of the compensatory damages to be paid under a UIM insurance policy.). Grossi v. Travelers Personal Insurance Company, 2013 Pa. Super. 284, No. 769 WDA 2012 (Pa. Super. Nov. 1, 2013 Bowes, Donohue, and Mundy, JJ) (Opinion by Mundy, J. )(Superior Court follows Pennsylvania Supreme Court's decision in Marlette v. State Farm limiting calculation of delay damages to molded amount downward to available policy limits as opposed to applying calculation of interest to excess verdict amount. Court does suggest that, in context of a Section 8371 bad faith action it may be within discretion of trial court to base calculation on verdict amount as opposed to policy limits amount in appropriate case). Marlette v. State Farm, 2012 WL 6720916 (Pa. Dec. 28, 2012)(Opinion by Todd, J. )(McCaffery, J., dissenting),(Orie Melvin, J., not participating)(The Pennsylvania Supreme Court squarely addressed that very issue of whether, after a jury trial in an uninsured (UM) matter, a plaintiff is entitled to delay damages on the full amount of the jury's verdict or only on the reduced verdict after it has been molded down to the amount of the available uninsured motorists limits allowed by the automobile insurance policy at issue. After reviewing the law surrounding Pa.R.C.P. 238 delay damages, the Court ruled that a plaintiff may only recover delay damages as calculated on the amount of legally-recoverable damages to which the plaintiff is entitled pursuant to the verdict as molded downward to the amount of the available UM limits under the policy. The Court remanded the case back to the trial court for the correct calculation of the delay damages.). Erie Ins. Exchange v. Conley, 29 A.3d 389, No. 1143 WDA 2010 (Pa.Super. June 9, 2011)(Superior Court affirms trial court's granting of a motion for judgment on the pleadings in favor of the carrier in a post-Koken lawsuit for UIM benefits on the basis that the exclusivity provision of the Worker's Compensation Act. Initially issued as a memorandum opinion and later converted to a published, precedential opinion). Erie Ins. Exchange v. Conley, No. GD 09-21471 (Alleg. Co. Aug. 27, 2010, Hertzberg, J. ), in which the court granted a motion for judgment on the pleadings in favor of the carrier in a post-Koken lawsuit for UIM benefits on the basis that the exclusivity provision of the Worker's Compensation Act. Affirmed on appeal by Pennsylvania Superior Court--see above). Petrochko v. Nationwide, No. 07 CV 7113 (Lacka. Co. Aug. 27, 2010, Nealon, J.). In granting the motion for summary judgment in favor of the UIM carrier, Judge Nealon noted that the issue presented had not been previously addressed by any appellate court in Pennsylvania.